"A bright and flashy retro style shoot 'em up"
FUMP BLASTER is a retro style space blaster clearly taking its inspiration from the classic and original game Space Invaders. 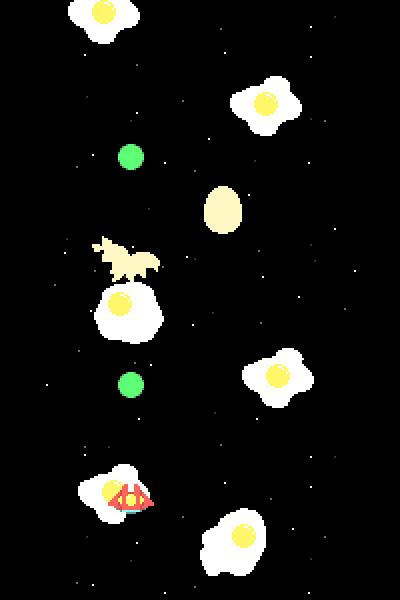 It’s quite difficult to write too much about a game such as FUMP BLASTER, you fly around in a space craft and you constantly hit the Z key to keep shooting anything that may lay in your wake. The game also has some quite strange levels to mix it up a bit which include one where you have to fly around avoiding fried eggs and shooting unhatched eggs with your laser gun to turn them in to fried eggs, another level you have to fly around avoiding giant pencils, in the standard fly and shoot everything in sight levels you come across a lot of enemies who resemble giant futuristic bees and shoot along with normal yellow blobs but sometimes what look like long streaks of honeycomb. 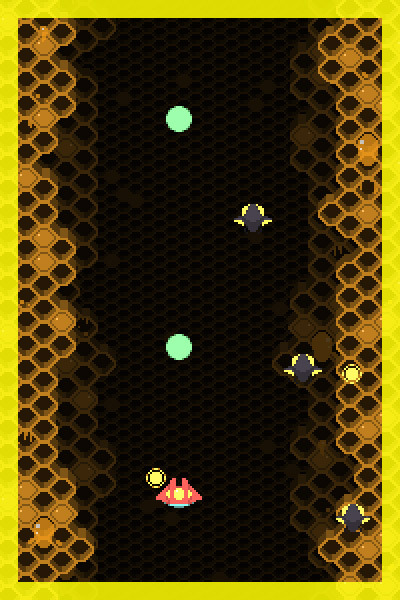 From the first level the game plays hard and fast and you will need lightning fast reactions to avoid the enemies and gun fire coming at you from all angles. While there is certainly nothing groundbreaking or particularly original about FUMP BLASTER it is good fun in a finger bashing retro sense but the constant flashing border around the game can be rather headache inducing (there is a warning about this at the beginning of the game) and after a while may become too much, then again it’s probably not the sort of a game you would play for more than a few minutes at a time due to its repetitiveness. You can download FUMP BLASTER here for free.